Intratel is Southern Ontario’s trusted VoIP business Internet telephone line provider with our Hosted PBX (Cloud PBX) and on-premises telephone systems. 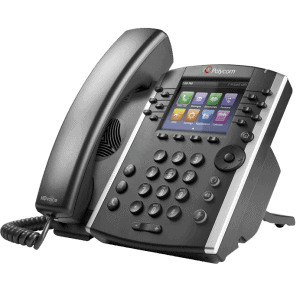 Our VoIP telephone lines for business leverage telephone and Internet technologies to deliver enterprise-class features to small and medium-sized businesses. For over 10 years, businesses like yours in Toronto, Mississauga, Oakville, Burlington, Milton, Hamilton and other nearby regions have relied on Intratel to free them from the costly phone system they are using now. When you choose Intratel, you take advantage of a more affordable, flexible and user-friendly VoIP phone line solution provider. Your small businesses will save on phone system costs and legacy PBX management headaches; while large call centres will receive the fully customized end-to-end telephone solution they can trust. Large, medium or small—our industry experience and unmatched service are dedicated to helping local businesses do business smarter, better and more affordably. Take control of your communications. Our telephone communications system is focused on three core fundamentals—manageability, scalability and reliability. An Intratel VoIP/Internet telephone solution puts an unprecedented number of management features at your fingertips. Your Intratel system will allow you to adapt your telephone communications to suite changing needs in minutes instead of hours (or days, if you need a technician). With Intratel’s feature-rich solutions, your telephone system can seamlessly scale up as your company grows, reducing or eliminating expensive hardware upgrades. Real-time reporting options allow you to proactively solve potential phone line problems before they have an adverse effect on your company's telephone communications. Your multiple office communications can be integrated together communications together. This will reduce the number of phone lines required and enable free Canada-wide calling. Save your business countless dollars a year by switching over to Intratel. Intratel offers on-site and hosted PBX (Cloud PBX) solutions that let you take control of your telephone communications. The extensive self-management features of our solutions mean many of the changes that once required a service call from a phone company technician can now be made in a matter of minutes by your company's IT administrator or an Intratel support technician. Kodarin Industries and BlueSky Process Solutions shared an office space and ownership, but had separate phone systems and multiple telephone bills. Intratel upgraded the two companies’ Internet connection and consolidated their telephones and billing onto one system, while maintaining company specific phone numbers. Both companies’ telephone costs have been reduce by at least 50% month over month, and users have been especially impressed with the integration of the phone system with their Outlook/Exchange messaging system. Copyright © 2019 Intratel Communications Inc. All Rights Reserved.